The GhostPillow and Tempur-Cloud Breeze Dual Cooling pillow are both products of mattress retailers, GhostBed and Tempur-Pedic. 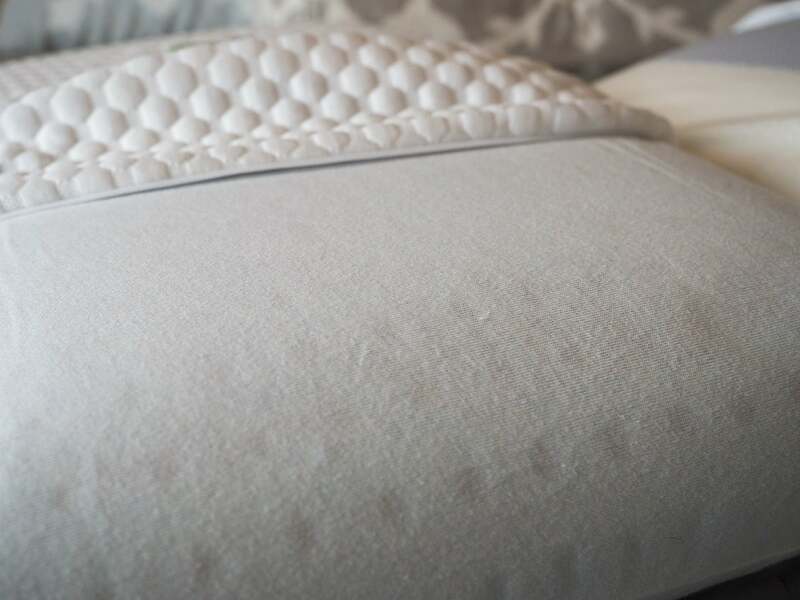 While the GhostPillow is the only pillow from GhostBed (so far), the Tempur-Cloud Breeze Dual Cooling is one of many pillow offerings from Tempur-Pedic. 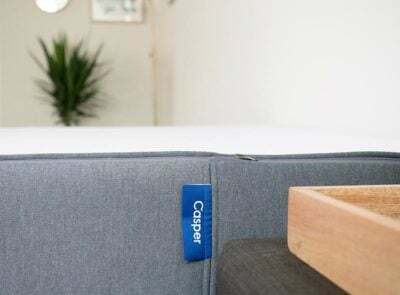 While they’re both filled with memory foam and designed to sleep cool, there are plenty of details that set them apart. Which one is going to work best for you? Read on for the full comparison below. Read the full GhostPillow review, here. 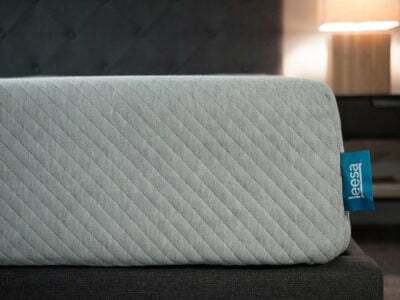 Check out the complete Tempur-Cloud pillow review, here. You are a back sleeper. 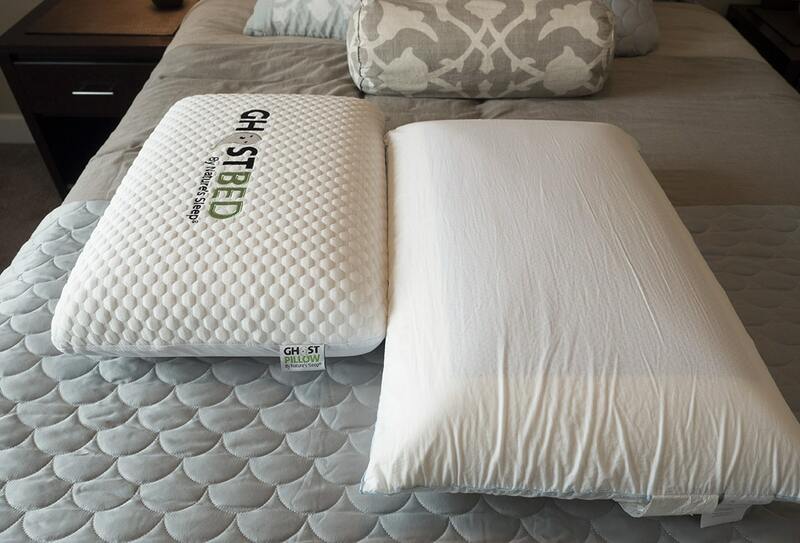 The GhostPillow is a solid ventilated piece of gel memory foam and sits at about a 5/10 on the firmness scale. 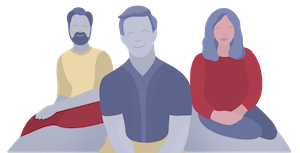 The medium firmness and height of the pillow make it a better fit for back and side sleepers over stomach sleepers – who typically need something a little flatter. You find the scent of lavender soothing. The GhostPillow has an added scent of lavender that you may notice when you unpack the box. The company says it should dissipate over time. Depending on how you feel about lavender or your sensitivity to scents in general, this could be a nice addition. You have a larger frame and like a supportive pillow. This pillow is not only 6.4” tall but the core is really solid and dense (the Queen pillow is 7 lbs), so your head won’t sink that deeply into it. Because of this, more petite people may have a harder time finding a good angle, even side sleepers. I’d recommend it for larger body frames or those who really just love a firm and sizable pillow. You want size options. The GhostPillow comes in just a Queen size but the Tempur-Cloud pillow offers a Queen option and a King option. You sleep hot. Both pillows are designed specifically to sleep cool. 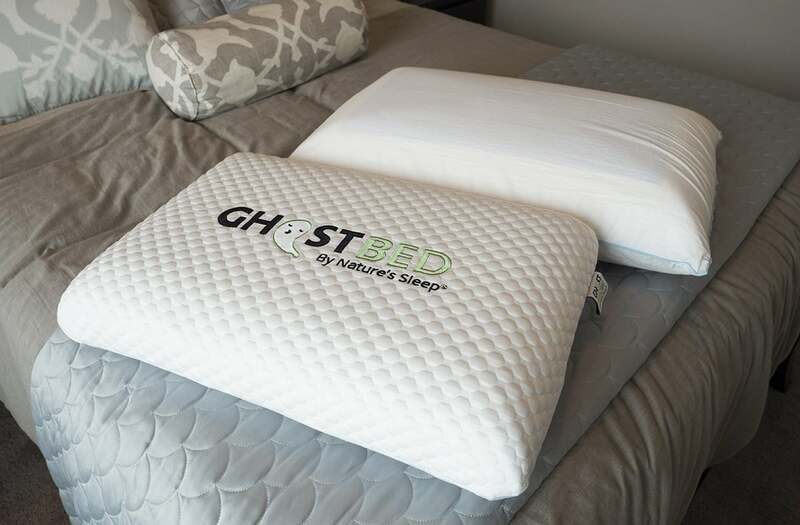 The GhostPillow cover features an aerated foam core and the cover has a phase change material that draws heat away from the body. 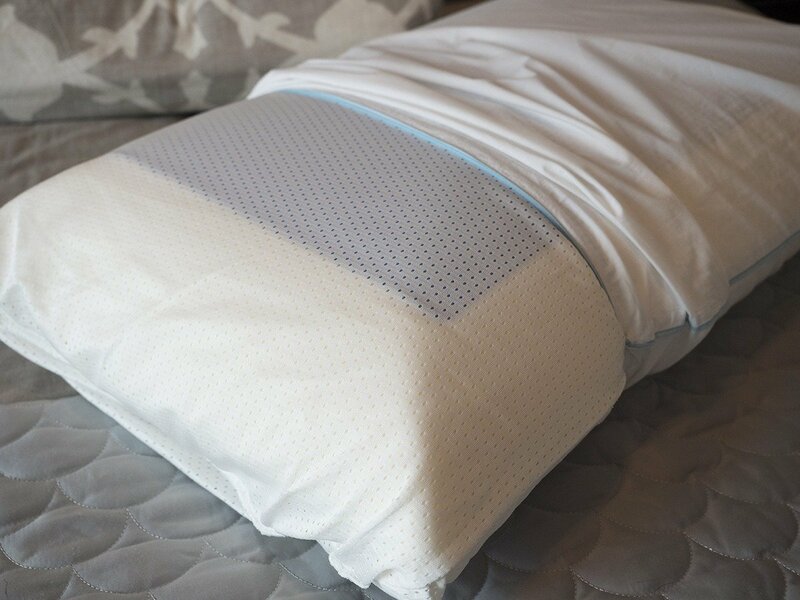 The Tempur-Cloud has a large gel pad layers on both sides that help the pillow feel cool to the touch. The cotton cover is also breathable. You like the feel of memory foam. 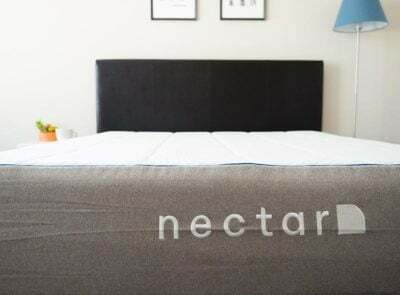 The GhostPillow and Tempur-Cloud Breeze Dual Cooling are made from memory foam. 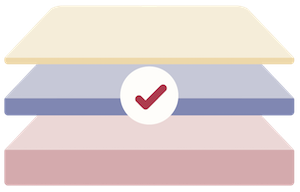 While their firmness levels vary, you’ll get the same slow response and general feel from each. You are a side sleeper. 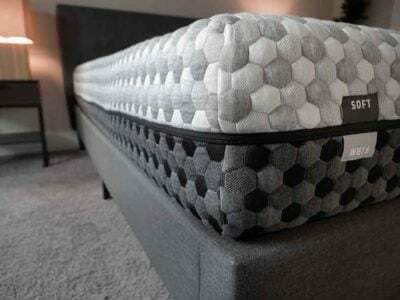 Based on my experience, the height profiles of each pillow and their solid foam cores, I think side sleepers can enjoy either pillow. If you’re a taller/larger person, you may prefer the overall size and loft of the Tempur-Cloud. People who switch from their side to their back may prefer the GhostPillow. You’ve got the budget. Neither of these pillows really come cheap. At full price, the GhostPillow is $85 (Queen – one size only) and $149 for the Tempur-Cloud in a Queen size. On paper, both of these pillows are good options for side sleepers who want a solid memory foam pillow that won’t sleep hot. In practice, each has a little something different to offer. If you want a lighter foam pillow with a medium comfort level (and you don’t mind lavender) go with the GhostPillow. 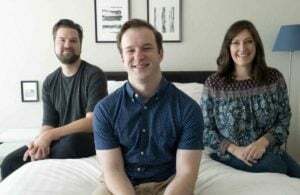 If you’re a bigger person and want a heavy pillow that won’t move on you overnight or change much in shape at all, give the Tempur-Cloud a try.